Smart Table Editor is a powerful online database editor for free designed to work in asp.net with IIS. Supports Microsoft Access 2003/2007 and Microsoft SQL Server databases. 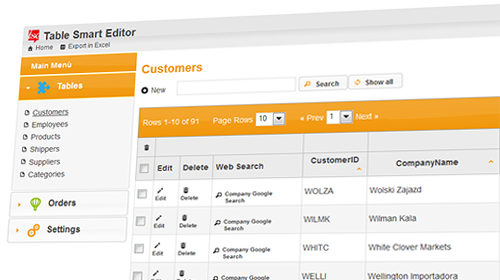 Allows you to view all the tables in any database and lets you edit, delete, insert new record by handling the validation of input data. It also comes with an instant search functionality. 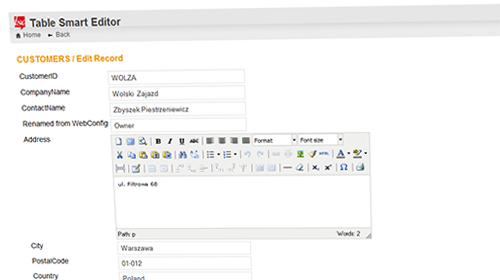 Smart Table Editor allows the connection between Database tables. 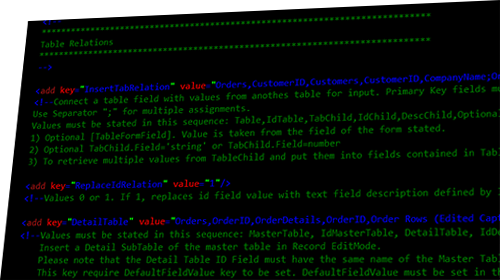 Adapting the web.config configurations keys Table Smart Editor can set the Language Reference as well as perform other basic tasks such as hiding the display of tables and database fields. 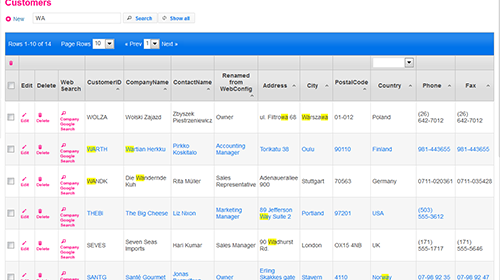 It is possible to organize the display of database tables and fields in comfortable tabs. 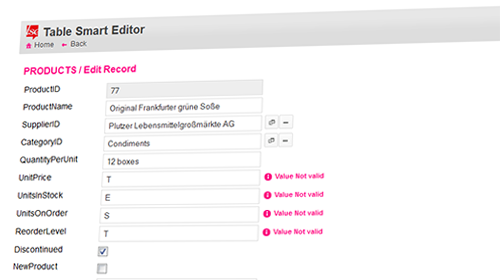 Smart Table Editor is also fully customizable with many graphic templates. 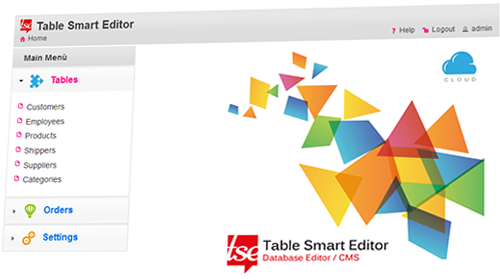 Taking advantage of its flexibility Smart Table Editor can be used as a powerful CMS for managing your website. Table Smart Editor integrate TyniMCE (http://tinymce.moxiecode.com/) to modify the fields TEXT / MEMO, with All HTML formatting tools. You can build your own cloud software on the web with no limits in personalization. Smart Table Editor supports all browsers and is easily customizable. It has settings to restrict access with username and password and allows to create profiles for managing privileges. All of this for free!